Well, just like that, August is GONE! Who’s ready for fall? Yay or nay? I’m always ready for the coziness fall brings, but I also hang on to these late summer days. Summer will always have my heart. Shall we get to the August recap? *Please note that links to products are most likely affiliate links, which means that I will receive a small commission if you purchase through my links. I only recommend products that I have used and loved. This is a really easy way for you to support my blog and help me continue to bring you free content, so I thank you! 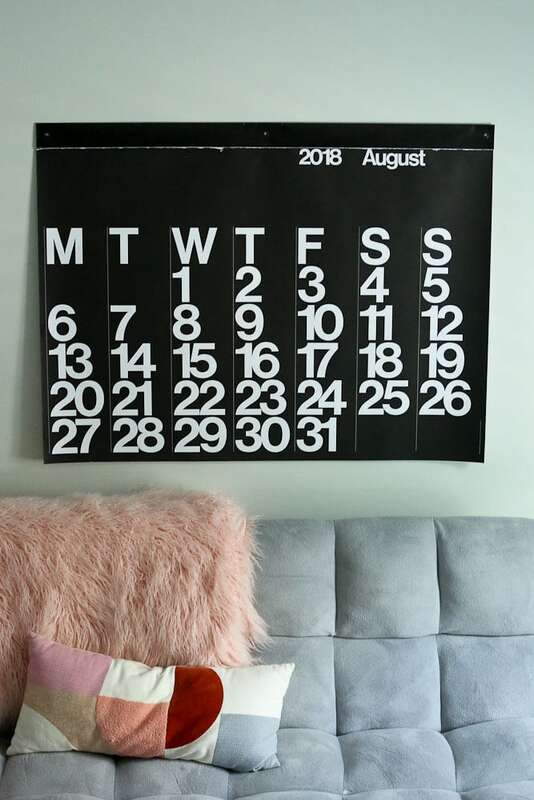 August was another great month at Casa de Happy Healthy Mama. 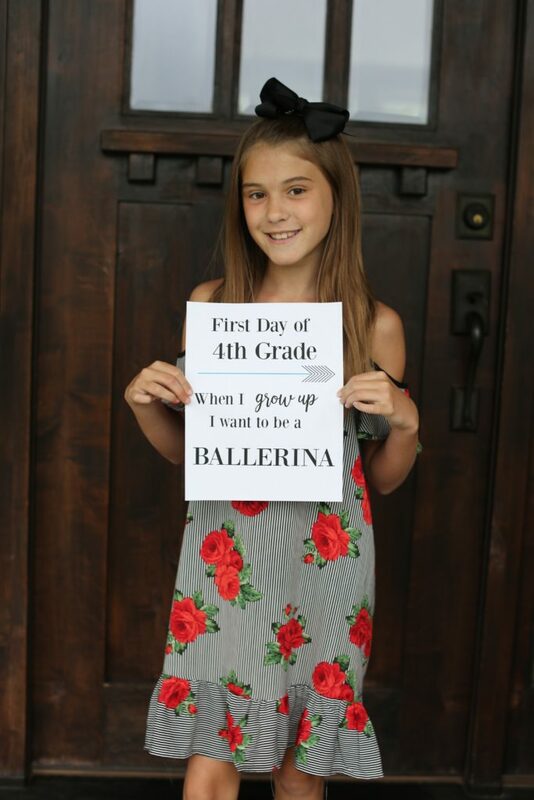 For starters, the kids went back to school! It was bittersweet, for sure, but I must admit I like having my working freedom return when school starts. 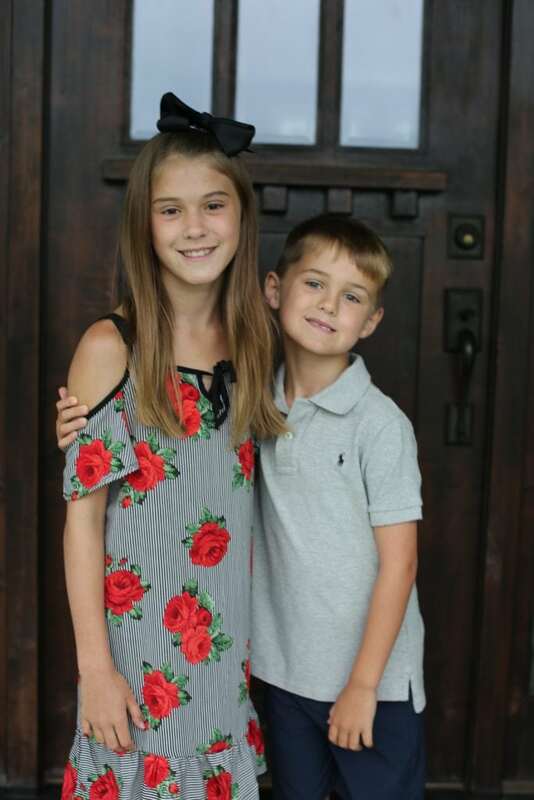 Meghan started 4th grade and Luke started 1st. 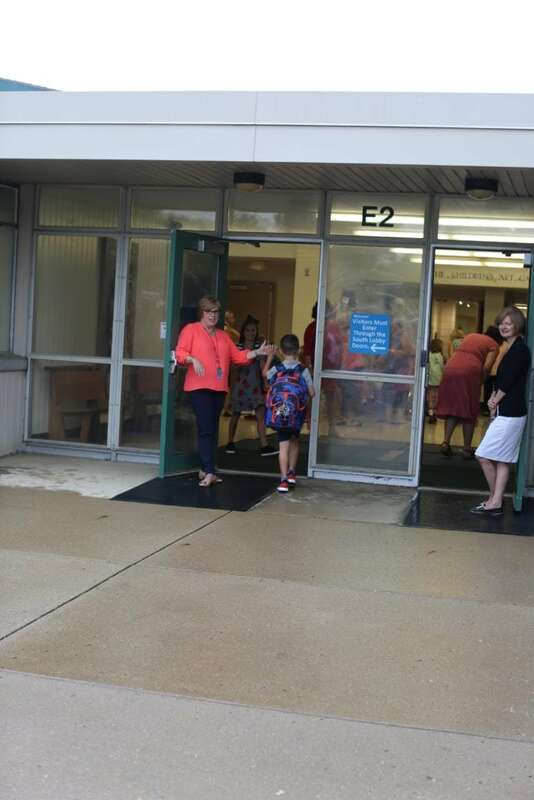 Luke and Meghan are at the same school this year! YAY! Finally! They’ll be at the same school for the next five years, which makes me so happy. Even so, watching my baby boy walk through those doors was TOUGH. I’ll admit, I made my way back to my car trying, unsuccessfully, to fight back tears. I didn’t fight them as I made the lonely drive home. 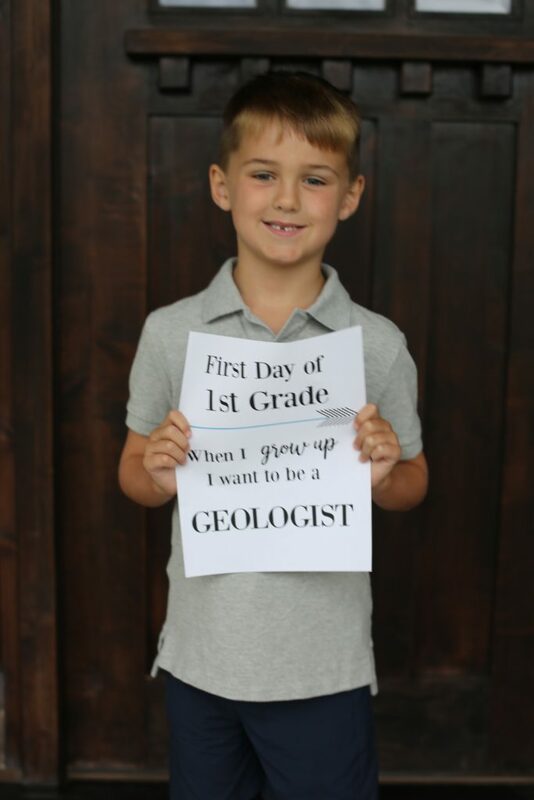 Something about him being in first grade really got me. Way more than when either of them started kindergarten. Weird, right? I love memoirs, and Educated is the best one I’ve read in years. (I actually binge-listened to this on Audible…) I don’t even have the words about how much this impacted me. Several times I had to stop and remind myself: This was someone’s real life. This isn’t fiction. The author, Tara Westover, grew up in a survivalist family in Idaho and didn’t go to school because her father mistrusted the schools. No homeschooling, just no school. Her family also doesn’t believe in medicine or anything that has to do with the government. Getting out of this situation seemed impossible, but somehow Tara managed to escape and goes on to earn a PhD from Cambridge University, even though she was 17 the first time she stepped into a classroom. You must read it to get the whole story of what Tara had to do to overcome the most insurmountable of odds. And you’ll never feel ‘whoa is me’ about your road blocks in life after reading it, I promise you that. Since this is the only book I finished this month, I thought I’d share what we read with Meghan and Luke, too. Chronicles of Narnia is one of my favorite series for kids. After reading The Magician’s Nephew (which was written later, but the one C.S. Lewis intended to be read first in the series. ), Meghan and I read The Lion, the Witch, and the Wardrobe. Meghan really loves adventurous books, so this series is great for her. Luke normally picks nonfiction books and there haven’t been many fiction books that keep his attention. Something about Winnie-the-Pooh captivated him, though, and we read through this book and then he wanted to start it over and read it again. We went on a mother-son date to see Christopher Robin after reading this, which was a great movie. 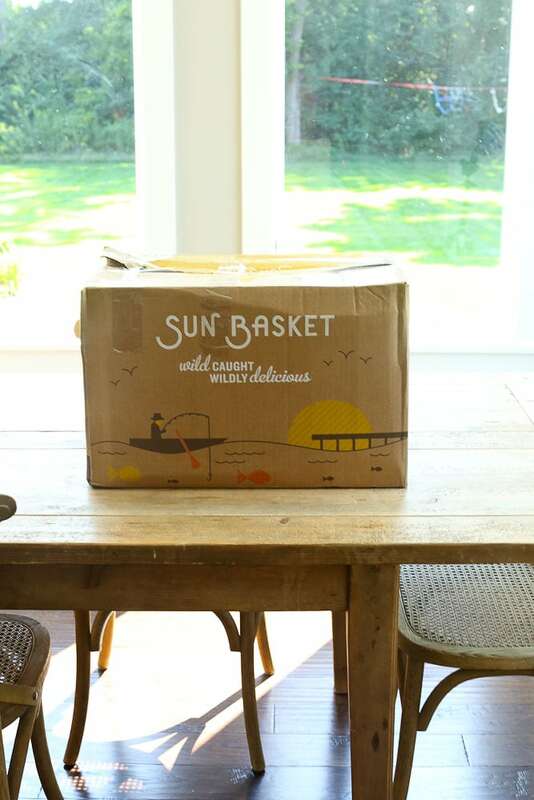 I wrote about Sun Basket back in May and told you how much we loved it. Well, we took the summer off from it since I am less of a meal planner in the summer months. 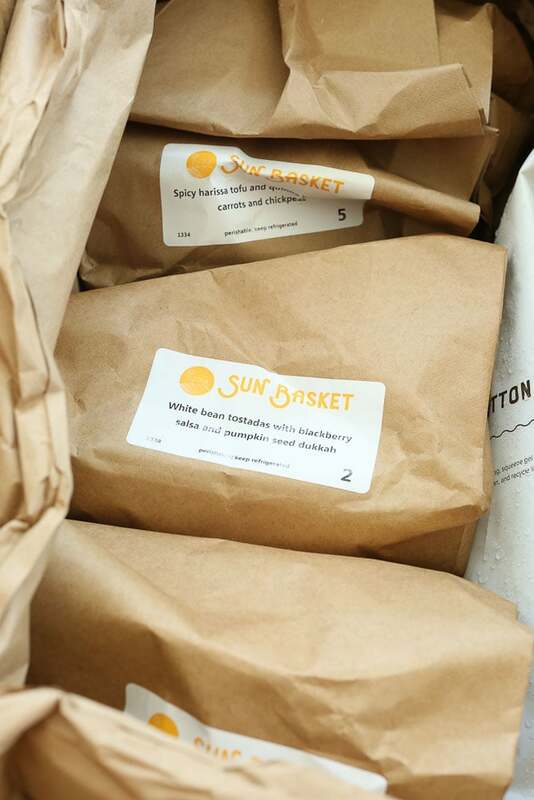 Now that school is in session, though, I need my meal plan structure back, so I started using Sun Basket again! 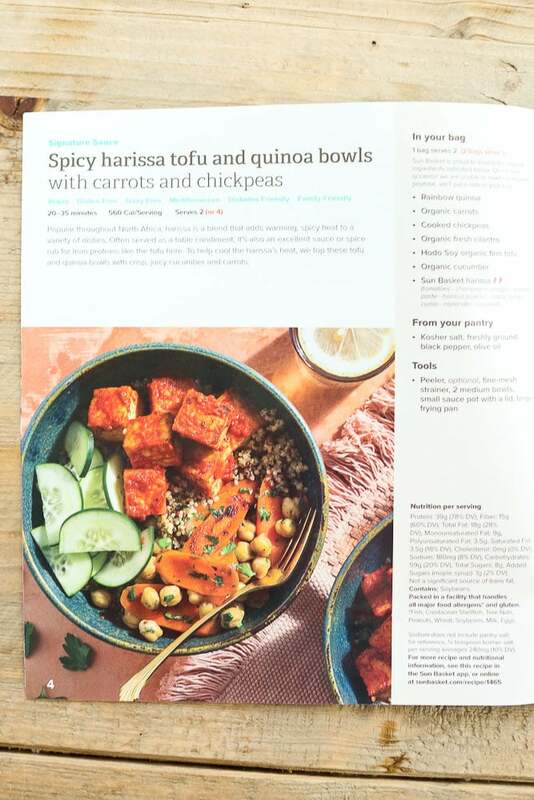 We had this Spicy Harissa Tofu and Quinoa Bowls for dinner last night and it was amazing. I just had to keep the spicy sauce off of the kid portions and everyone was happy! Tim and I loved the heat and found this to be a very filling meal. I just love having two of our dinners planned for me and all the ingredients portioned out and ready to go. Takes some of the pressure off of me. Right now I’m doing the Vegetarian plan for two nights a week. (They offer a number of different plans for every dietary need, from classic to Paleo to gluten free to vegan. All healthy and 99% organic.) Three nights a week I plan the dinners myself and meal prep using the Conquer Dinner method. The other two nights we wing it and either eat leftovers or I create a pantry meal. Speaking of Conquer Dinner, it’s my dinner recipe ebook that has six weeks of meal plans, grocery lists, and step-by-step meal prepping instructions that helps you take the stress out of dinner time. It’s getting a major update VERY SOON! The good news is, if you’ve already purchased it, the update is FREE. If you haven’t purchased it yet, I would do it now as the price is going to go up just a tad with the update. Keeping our family dinners in tact as much as possible makes me a very happy mama! 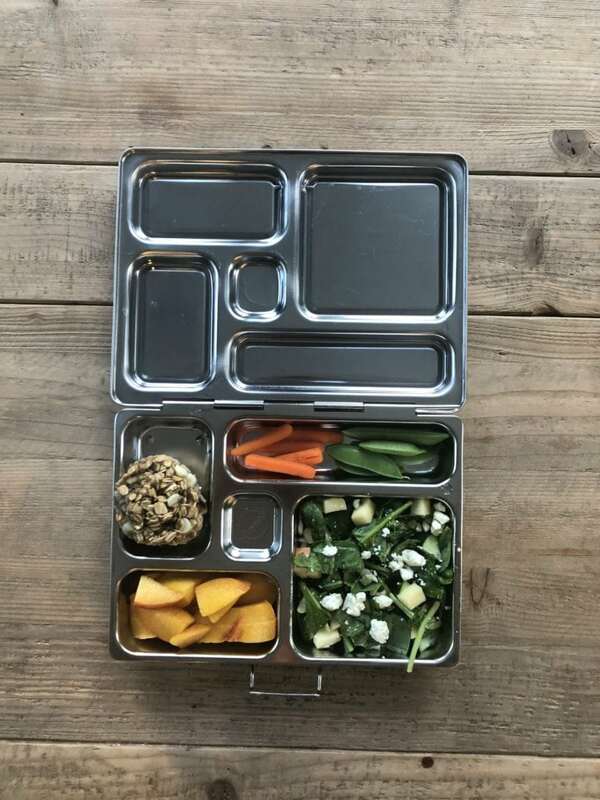 When I share Meghan and Luke’s lunches on Instagram, I always get questions about their lunch containers, so I thought I’d better devote some time to tell you about them! This is Meghan’s lunch of a Banana Peanut Butter Sandwich, apples, a Banana Oatmeal Muffin Cup, and carrots, snap peas, and cucumbers. 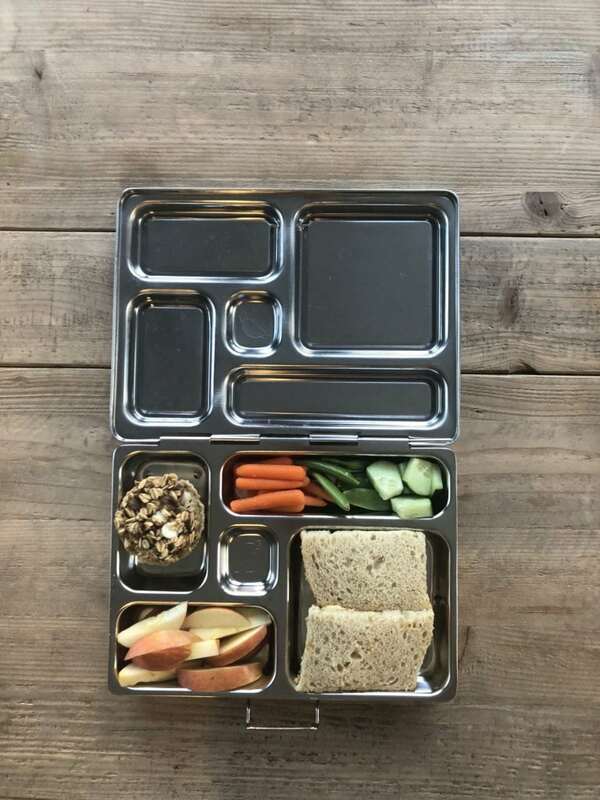 Here’s Luke’s lunch which was a salad with feta cheese, apples, cucumbers, and extra virgin olive oil, peaches, a Banana Oatmeal Muffin Cup, and carrots and snap peas. The size PlanetBox we use is the Rover and it comes with two containers for dipping sauces or “wet foods” that might leak. For example, if you’re going to send applesauce or yogurt, you’d use on of the extra containers it comes with. It also comes with a magnet set to decorate them. 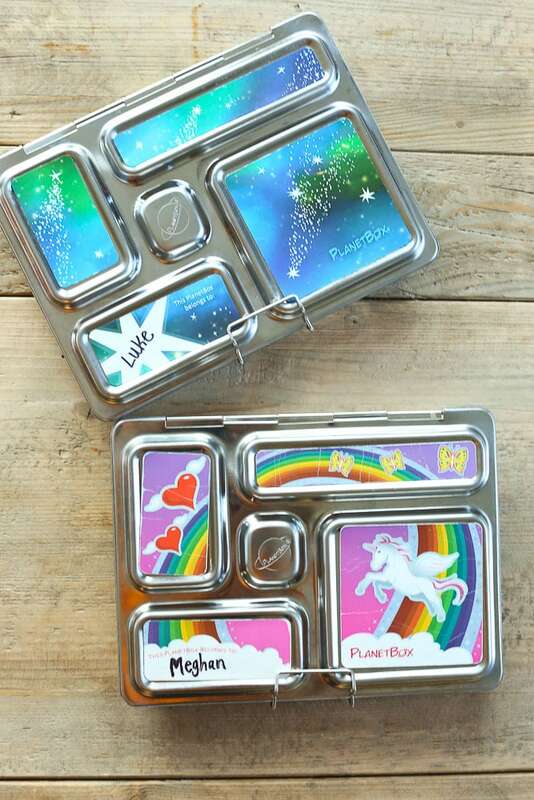 These are the lunch boxes they fit in. (You can purchase separately or as a set. 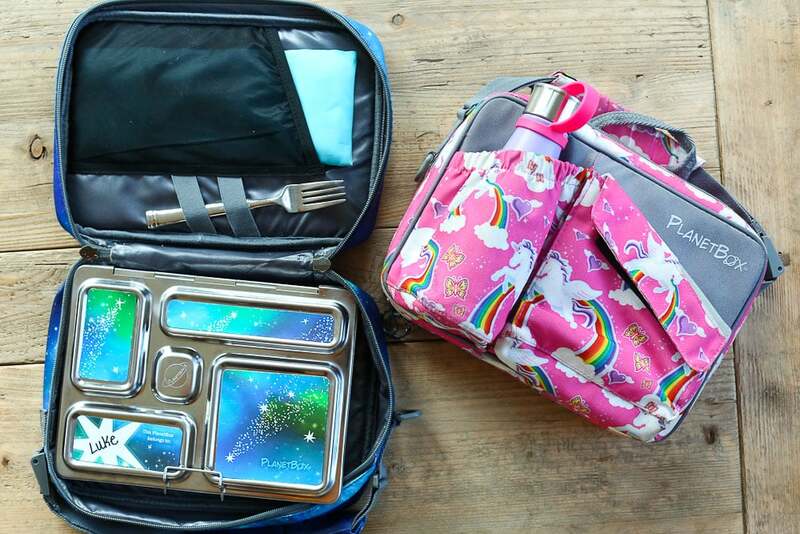 I recommend as a set because the containers don’t fit in other lunch boxes well.) There is a place to slide an ice pack, for keeping utensils, as well as a pocket for a water bottle and another pocket for extras. So, yeah. 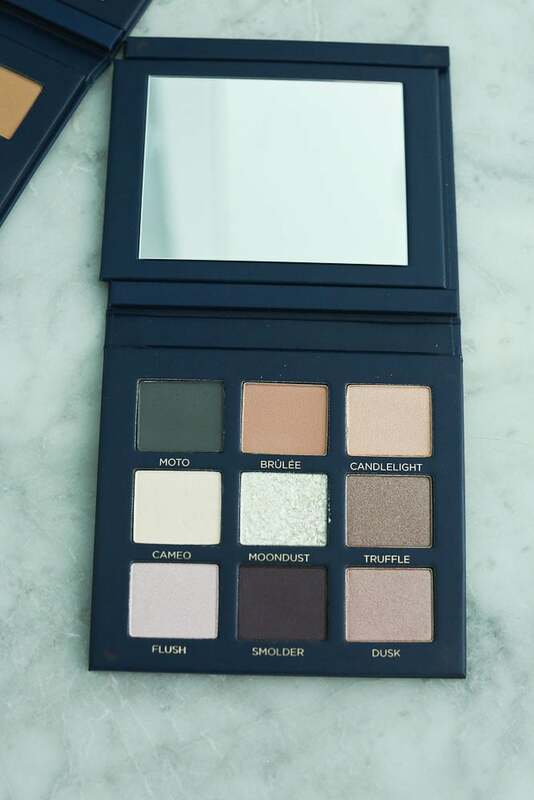 I splurged a little a got two new eyeshadow palettes. I am in love! Aren’t they both so pretty!? I’m obsessed. 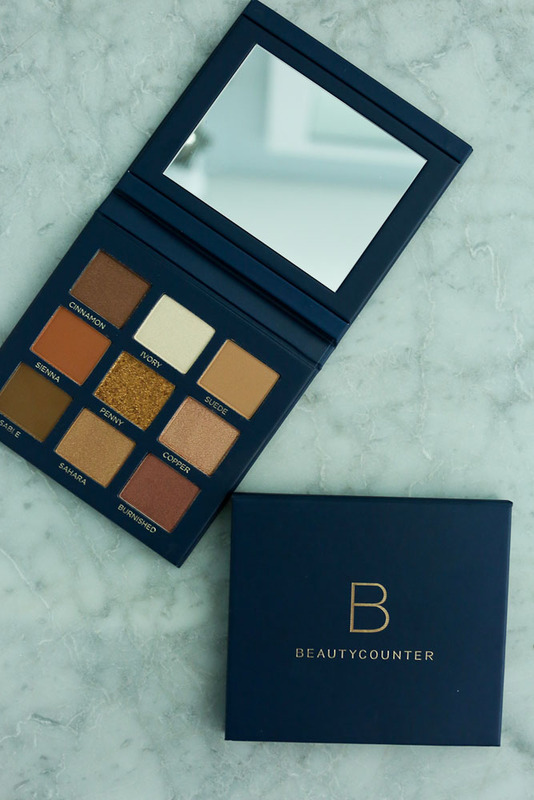 In case you haven’t read me rave about Beautycounter before, they are my favorite safe beauty brand for makeup and personal care products. They only use safe ingredients and have 1,500 ingredients on their NEVER List that most other beauty companies use. I should also update you on the Overnight Resurfacing Peel I told you about in the July Favorites post. All I can say is this stuff is LIFE CHANGING. I know, dramatic. But it’s so true. I feel like my skin looks way better at 40 than it did at 30. That is saying a lot. This product WORKS and it uses SAFE ingredients. It has over 1,000 5-star reviews and it’s only been out a few months. You just need to try it for yourself!! Whew! I finally made it to the recipes section. It’s always SO HARD to pick a favorite recipe from the last month. I really like ALL the recipes I post. But….here are my top 2 from this month. 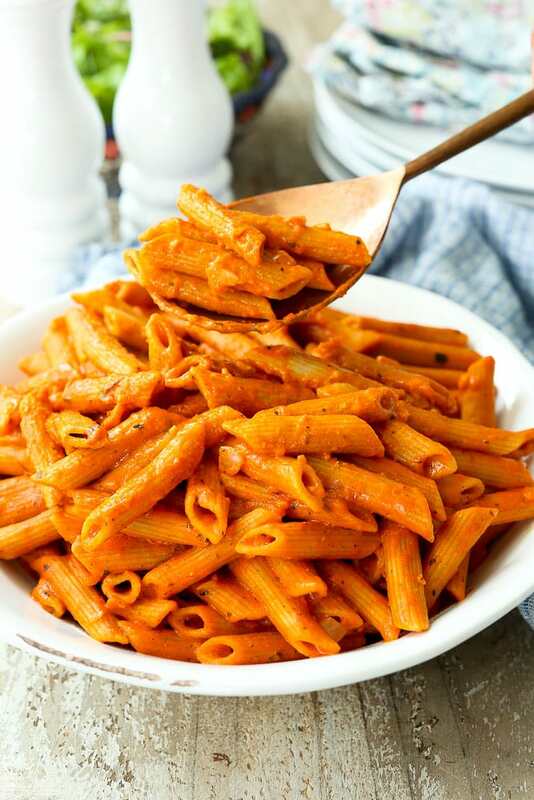 I loved this because it was quick, easy, and tasty. And in a world that shuns carbs, I do still love my pasta. 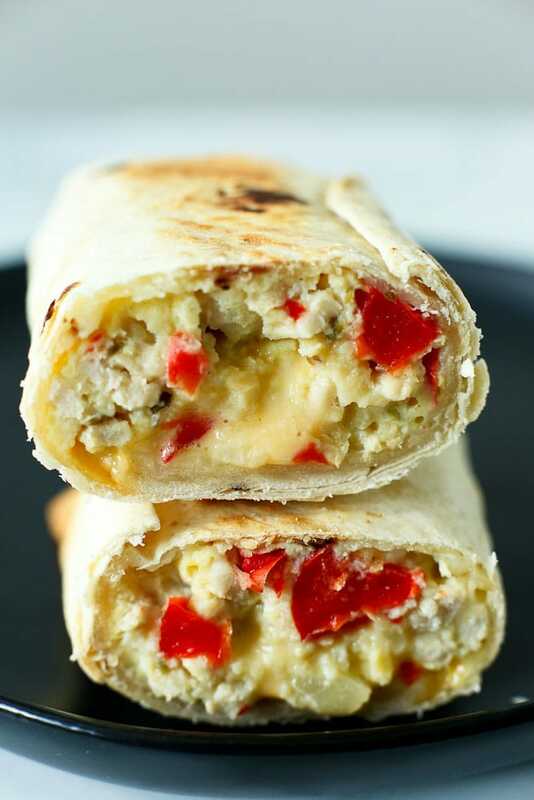 I am definitely smitten with these breakfast burritos. They don’t take a ton of time to prepare and my freezer is stocked! I had one today, actually. 🙂 They are super tasty.